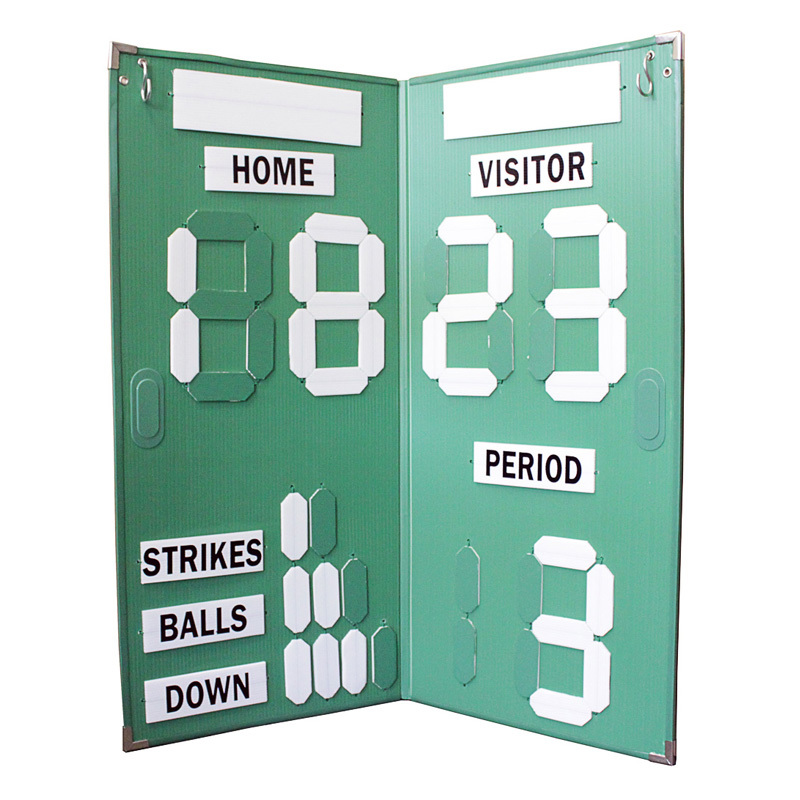 •Score and store board- turn to score, fold for storage. •Dimensions: Open 38″x37″W and Folded 38″x 18″. •Everyone can see the score over 100 yards! A great crowd pleaser!!! •Makes keeping score simple, easy and fun. Goes anywhere & sets up in seconds. •Great for multiple sports including baseball, football, soccer & volleyball.